The blennies are an extremely diverse group of fish with over a hundred genera, representing many hundreds of species. They can be found in marine, freshwater and brackish water. 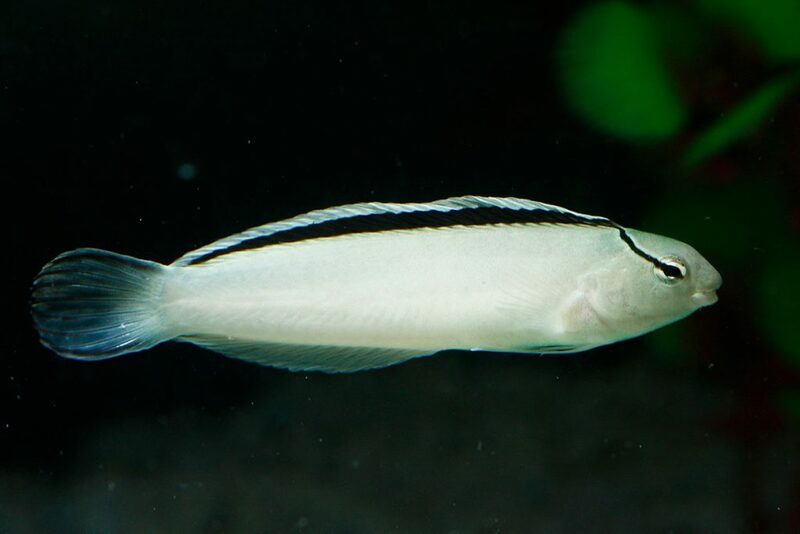 Perhaps best recognized by aquarium perennial favorites such as the Lawnmower Blenny (Salarias fasciatus), Canary Blenny (Meiacanthus oualanensis) or Bicolor Blenny (Ecsenius bicolor), this group of personable little fishes are a marine tank mainstay. Blennies can be found in marine, brackish and freshwater environments across the globe. Blennies have a fairly characteristic appearance, with an elongate body, blunt nose, large eyes and a subterminal mouth for grazing algae. They are generally benthic fish, preferring to spend their time on the sand bed, or among rocky crevices and caves. Blennies are in many ways the ideal marine aquarium fish. They are considered a very hardy, do not attain an overly large size, and require only a minimal territory. Some species can be a bit aggressive towards members of their own family, or similar looking fish, so it is important to keep this in mins when selecting a blenny for your aquarium. In the wild blennies consume primarily algae found growing on rocks and substrate. This propensity to eat algae has earned them the reputation of being good members of the clean up crew. However, even if ample algae growth it present, it is important to supplement their diet with high quality prepared foods. Many species of blennies do not require a very large tank. However, it is important to consider carefully what species of blenny may be best for you tank. While smaller species such as the Barnacle Blenny (Acanthemblemaria hancocki) are suited to tanks as small as 10 gallons, larger species such as the Lawnmower Blenny (Salarias fasciatus), may be better suited to a tank thirty gallons or greater in size.